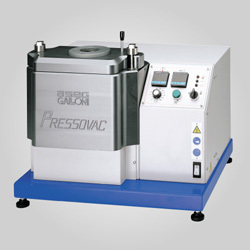 Used for polishing and touching up molds, dies and metal parts. Less aggressive than finishing stones, GMX sticks produce a surprisingly smooth surface. 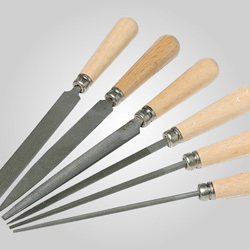 GMX is made of a long lasting Aluminum Oxide grit in a unique composite of laminated cotton fiber in a rubber bond. 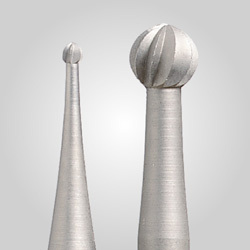 GMX cuts and smooths in one operation leaving a smooth even surface finish. Available in 4" long square sticks, and in 4" and 6" long round sticks.